Attic fans and house fans are a great addition to any home that is looking to increase efficiency and save money on their energy bill. A good attic fan system is a great resource to effectively control the temperature in your home or business, especially during the hot summer months. Attic fans are a great natural solution for cooling your home for a fraction of the cost of running your A/C unit. Give Shogun Services a call today to talk about the benefits of installing an attic fan system. 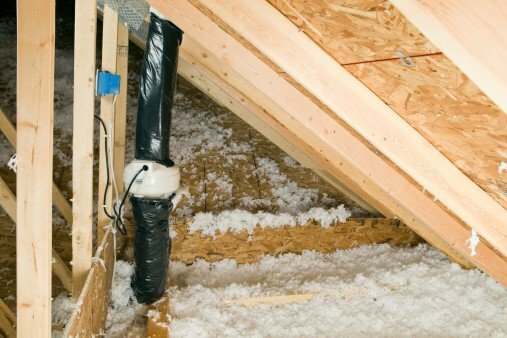 Hot air from outdoors gets into your attic and insulation and has no place to go. This ends up acting like a heated blanket that produces sweltering heat inside your home or business. An attic fan or house fan pulls the warm air from each part of your home and replaces it with cooler temperature air from outside. The fan achieves this by pulling in the cooler outside air through open windows or spaces connected to the fan. The warm air is then removed from your home and is driven out of the attic vents, leaving your living areas cool and comfortable.